Immediate download of 15-track album in your choice of 320k mp3, FLAC, or just about any other format you could possibly desire. PDF of liner notes included. After small fees to Bandcamp and PayPal, all the money goes straight to Harvey. 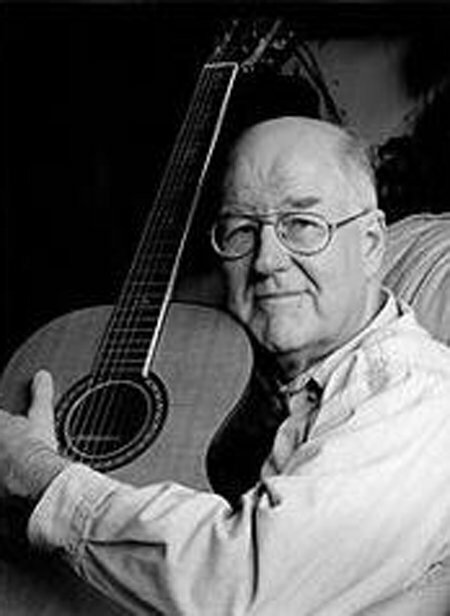 I have been perfoming in folk clubs and related venues since 1964 and my generation were the pioneers of professional folk music. We are now in our late fifties or sixties – an archive of musical history that cannot be repeated. This album is about the performer and the audience; about the music and the road; about the distant past and the rich future and above all the joy and fellowship we find in our music. "Fifteen tracks which are essentially about music, not the self indulgent romanticism so often associated with the subject, but a combination of wit, pathos, narrative and humour reflecting a lifetime in the business. This is a fine album, superb writing coupled with top quality performance and arrangements which are thoughtful and appropriate to the individual tracks. A worthwhile addition to anyone’s collection." 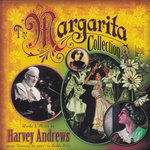 "On this recording [Harvey's] words and music are as strong and meaningful as ever, presented in an unobtrusive, but powerful way. Of all the songwriters of his genre this country has produced, he continues to see things clearly in a way that others don’t. He truly is a man for all seasons whose legacy of songs is a real gift." "Singer/songwriter Harvey Andrews has been turning out magical albums year after year after year… his new album “The Gift ” is no exception. 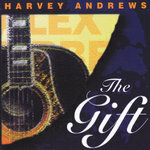 The Gift in the album title is the gift of music and Harvey is very much reminiscing about the events and characters of his long career in music, particularly the Sixties when he started… His relaxed style has picked up a lot of admirers. This album should keep them happy. Long may he continue." 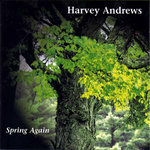 "I’ve always admired the songwriting talents of Harvey Andrews. 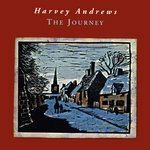 The distinct ‘British’ vocals are well defined… To aspiring songwriters everywhere, Andrews is The Gift." "Harvey is a craftsman. No word is out of place, and each song is perfectly formed. He has a magical gift for melody and a sing-able chorus, as well as the immaculately placed line which points up the focus of each verse. He describes the challenge in his song ‘The Songwriter’ in a way that made me wince with its accuracy (here’s the mortgage, here’s the bills / here’s the bad review that kills you), but he makes his work seem so fluent and natural it’s hard to imagine him struggling with the pen and paper. 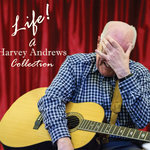 This is an album for all of us who know and love folk clubs, for all of us who know and love words and music and for anyone who knows and loves Harvey. It’s a jewel of an album – a gift indeed." 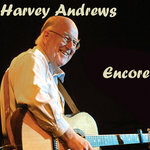 "The old voice is still intact-strong, pleasing and listenable-and the songs are still a source of enjoyment. 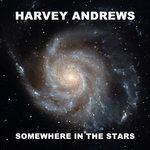 Harvey Andrews has conjured up a selection to touch us all. ‘The Gift’ is a wonderful album to add to one’s collection." My thanks to Jacey Bedford, James Berriman, John Ward, Toni Wood, Brian Heywood, Anne Lister, Bruce Davies for their chorus singing. My special thanks to Mike Silver and Bruce Davies for their very special talents and support. Engineers: Jonathan Dewsbury, Mark Ellis, Brian Bedford, Stuart Duncan, Ian McCalman. If it wasn't for the song. Because leaving was the first thing on her mind. Would I get it right, or wing it? Could I write it down and sing it? Would the muse descend and bring it, then return? Could I be the next Hoyt Axton? Could I really sing Tom Paxton? Make it work and make it rhyme? Please, can you sing No Man's Land"
And now who gives a damn? And we all hope you've got one of those"
He said "You're wasted on him"
You're young enough to be the old man's child"
And a jar, if you'll just say the word"
And we can have a convoy! I asked "Is that the way that life is?" He said "That is the way it is my son"
Soon death came to call with a voice that cried Now!